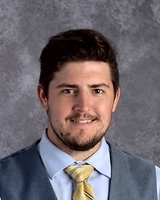 Mr. Carufe has a wealth of experience teaching, coaching, facilitating sports camps and clinics, and with managing facilities, planning, curriculum design, book consultation and writing program philosophy. Bill currently focuses his energy as a faculty member and Director of Basketball Operations at Seacrest. Mike Sheffer grew up near Albany, New York and played basketball at Oswego State University. He was an educator for over 30 years as an International Baccalaureate business teacher and Dean of Students. He is currently a Board Member and Education Coordinator for FoolProof, a non-profit organization that partners with local credit unions to develop Business Education Financial Literacy for schools all over the United States. Mike began his coaching career in 1986 and was an assistant coach for five years for Coach Carufe in the Ithaca New York area at Spencer–Van Etten High School. He later went on to be an assistant coach at Cornell University and Corning Community College. He also Coached Varsity Boys Basketball at Corning East High School for twelve years and Girls Varsity Basketball at Corning East for four years. After Corning East High and West High consolidated, he returned to Boys Basketball as an assistant for five years. Tyler Turner is a recent college graduate from East Tennessee State University (ETSU) in Johnson City, TN. Tyler graduated from college with honors. He holds a Bachelor of Science degree from the Department of Education in Sport Management and is returning to school to earn his teaching certification. Turner moved to Naples, FL after an internship with Sports CLUB Naples and interned under Coach Carufe. Currently Tyler is a full-time substitute teacher in Collier County Public Schools. During his summers in college he operated a basketball program and a camp in Maine. Turner coaches travel basketball for Florida Elite Southwest. Coach Wholihan is now starting his third year at Seacrest. After retiring from the NYC Fire Dpt. in 1996, he began working at the Petrides school, the first and only K through 12 grade school in NY. John became the first varsity basketball coach in school history to make the playoffs in the 4 years he coached. He also taught in the high school at Petrides for 6 years. In 1996 Coach Wholihan also became the equipment manager for Division I Wagner College, in charge of 19 athletics programs. While at Wagner, Wholihan learned a great deal about coaching basketball while assisting Coaches Derrick Whittenburg and Mike Dean. Coach Wholihan and his family (Donna, Shane, Brandon) moved to Naples in 2002. He began working at St John Neumann in October of 2002 as Assistant varsity basketball coach and equipment manager for football. In 2006 Coach Wholihan became head junior varsity basketball coach for 4 years, taking over the varsity basketball team in 2009. While at Neumann, Coach Wholihan made the playoffs every year. Coach Wholihan was appointed Boys Varsity basketball coach at Seacrest in 2016, later taking over the Girls varsity basketball program the following year. 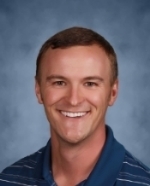 Nick has been coaching and teaching history at Seacrest since 2010, with one team District championship, nine individual district champions and five State finalists between both sports. Nick was named Seacrest's chair of the history department in 2015. He is an accomplished and avid runner. He ran cross country for his high school and was a member of his schools's first team to ever make it to State finals. Nick has completed seven half marathons with a PR of 1:32:17 and is training for his first full marathon this summer. CC has been the sailing coach since 2014, when Seacrest introduced sailing as a varsity sport. Coach Cramer grew up on the U.S. Virgin Island of St. Croix. She began sailing and racing at a young age. CC moved from St.Croix to Florida to sail for Eckerd College. After college, she joined the Naples Community Sailing Center as an instructor and currently works there, providing instruction to sailors ages 8 and up. CC manages and coaches the high school teams affiliated with NCSC. Before becoming a coach, Paul Williams enjoyed a 12-year career as an English professional footballer. After retiring due to injury, Williams has been involved with colleges and schools all over the world. He has helped develop and mentor players of all ages to achieve a greater understanding and awareness of the game. Williams is currently DOC of Florida Fire Juniors, the largest youth nonprofit soccer program in the Naples area. Christina came to Seacrest first as a parent in 2013. She joined the Athletics Office as the Assistant Athletic Director, and in 2014, she was appointed the Varsity Girls soccer coach. Athletically, Christina played soccer at the collegiate level as a center midfielder for four years. She received a bachelor's degree in sociology from Castleton State College in Castleton, Vermont. Christina's approach to life and coaching is to have four main goals: always demonstrate sportsmanship, work hard, maintain your discipline, and always remember to appreciate the world around you. 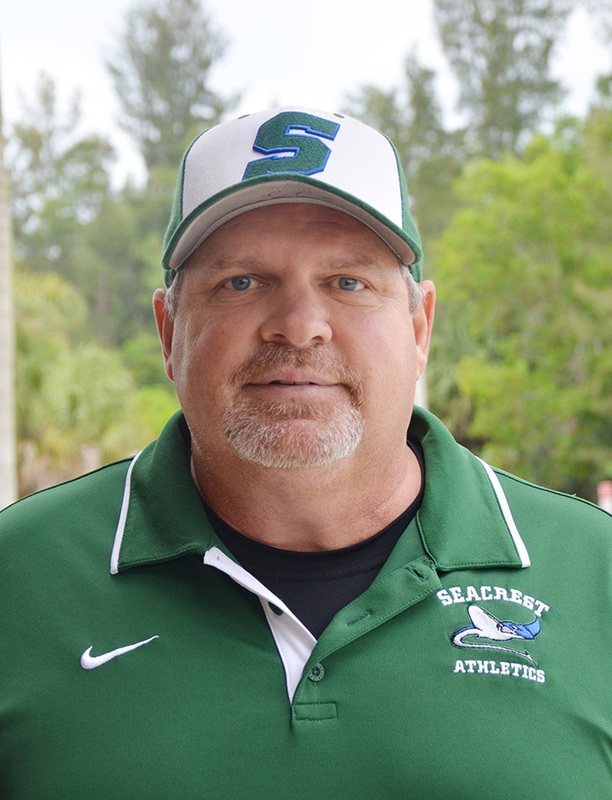 Seacrest parent and ESPN analyst John Kruk is the head coach of the Lady Rays varsity softball team. Kruk, a former major leaguer who played for four years with the Padres, five years with the Phillies and his final year with the White Sox, looks forward to coaching the girls and says his goal is to build the program. Kruk coached junior varsity baseball during the 2014-2015 and the 2015-2016 school years. He stresses that his coaching style is about encouraging his players to improve, helping them learn from their mistakes, identifying talent, and rewarding hard work. We can't wait to watch the Lady Rays play next spring under Coach Kruk's leadership. Born and raised in Naples, Jaclyn Traina is returning to her roots and joining Seacrest Country Day School as Co-Head Coach of the Varsity softball team and a Lower School Teaching Assistant (images below). Traina comes to Seacrest following a decorated softball career that includes professional leagues in the United States and Japan, four years as a pitcher on the USA Softball National Women's Team, and an NCAA Division I Softball Championship with the University of Alabama. 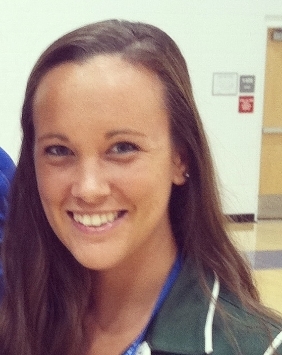 In 2013, Jan Class came to Seacrest as the junior varsity and assistant varsity coach. He assumed the role of head coach during the 2013 district tournament . 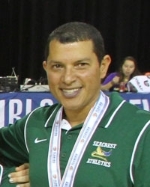 The team, under his coaching, went on to win the 2013 Class 2A State Championship, the first volleyball state championship for any school in Collier County and the first state championship for Seacrest. In the fall of 2014, he joined the community as a parent. Jan went on to take the 2014 varsity team back to the state tournament. Jan has an extensive background coaching volleyball all over the world that spans more than 25 years. Click here for a full bio on his volleyball experience. Julie Bigelow has been the Head Athletic Trainer at Seacrest since 2013. Julie graduated in 2012 with her B.S. in Athletic Training from the University of New England, where she was also a varsity softball player for four years. During her playing career, she was the recipient of the Coaches Award and Pitcher of the Week for the Commonwealth Conference. Julie graduated in December 2017 with her masters in injury prevention and rehabilitation science from California University of Pennsylvania. She holds certifications as a corrective exercise specialist and as a performance enhancement specialist. Julie has worked as an athletic trainer for the Summerside Storm, Fort Myers Miracle, Red Sox Fantasy Camps, Roy Hobbs Tournaments, and Perfect Game. She grew up in Montpelier, Vt., but now lives in Bonita Springs with her fiancé, Mike. In her free time she enjoys playing co-ed softball, going to the beach and kayaking.